A few weeks ago my boyfriend and I decided to go on a little day trip to Oxford. Despite living just 45 minutes from this beautiful city, neither of us had ever visited. I’m all for exploring your local area so off to Oxford it was! Now, there are so many things to do in Oxford, you really need a weekend break to fit it all in. We wanted to keep it cheap and see as much as we could in a day so we just wandered around, ticking off the main landmarks. We headed to Oxford by train as this is probably the easiest way to get into the city. We could have easily driven, but parking in the city centre can be a little hard to find and pretty pricey! There is also a Park and Ride service but this just seemed like bit of a faff, so we settled for the train. The railway station in Oxford is about 10 minutes walking from the city centre so pretty ideal! Trains run regularly and it’s also only an hour to London, so very accessible. As we live so close and both have 16-25 railcards it was £4.50 each for a return ticket, not bad at all! As you might have gathered from my Cotswolds post, I’m definitely a planner when it comes to visiting new places. I like to have a vague idea of the best spots to visit to make the most of my time. As a result, I had quite the list of things to do, but we stuck to the free things to keep costs down. 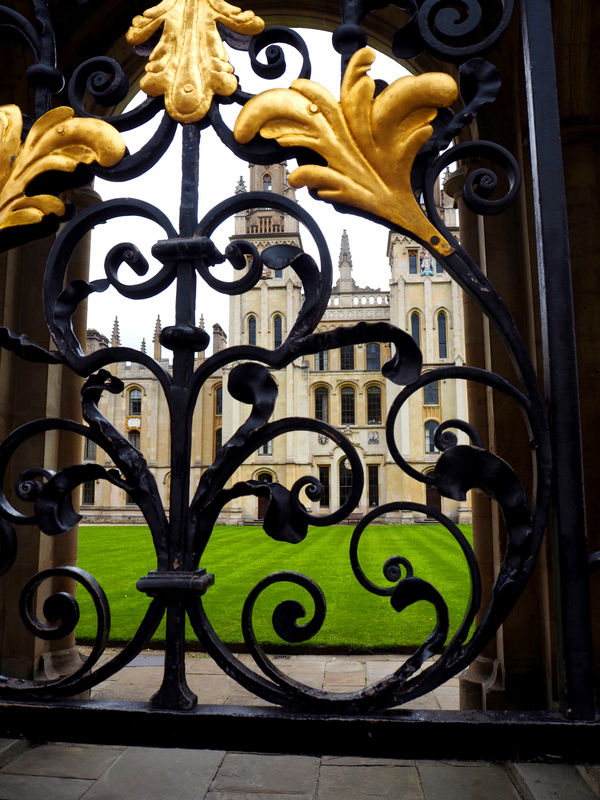 The Oxford University Colleges are definitely one of the main reasons why people visit the city. 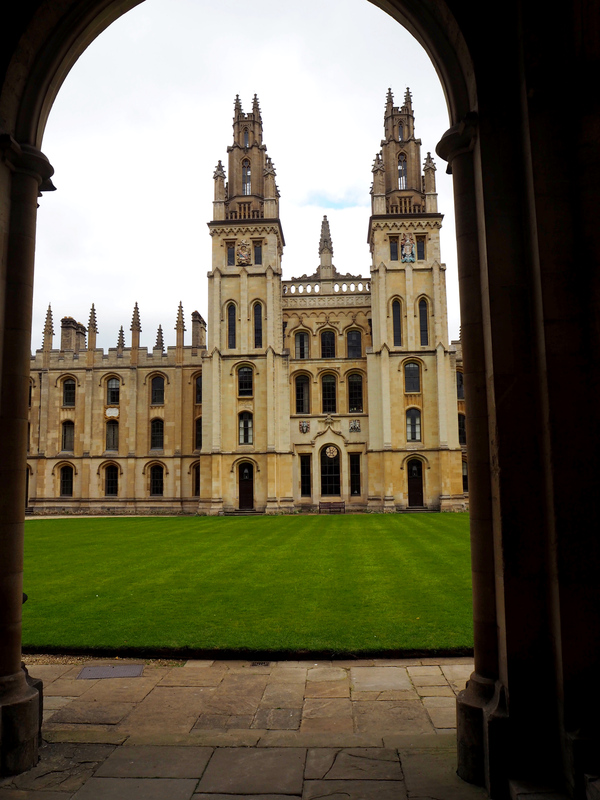 Oxford is the oldest university in the English-speaking world and happens to have some truly beautiful buildings. 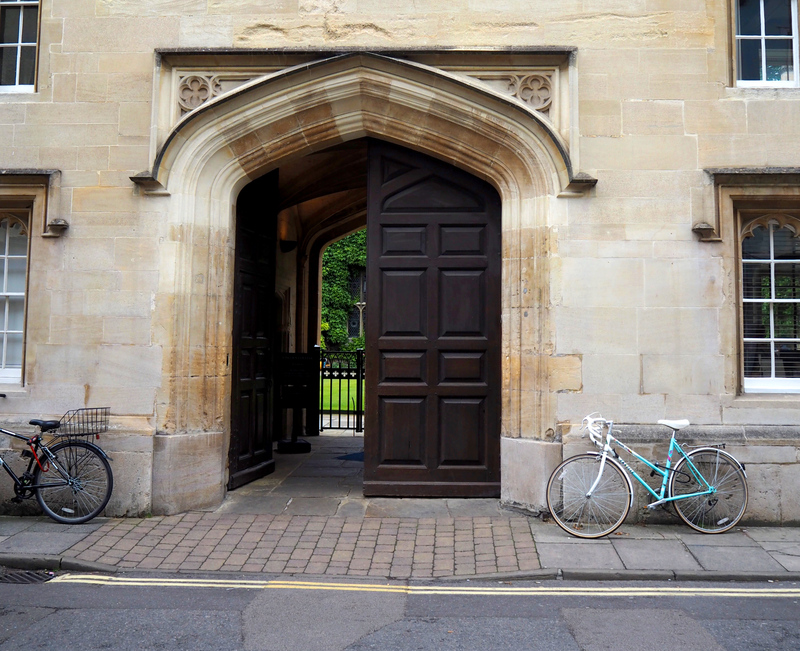 Many of the colleges allow visitors inside, however the most popular colleges including Christ Church, Trinity, Magdalen and University College all have fees to enter. If you want to keep costs down, some colleges are actually free to visit. We didn’t actually go into any of the colleges, but we did have a sneaky peek through the gates to snap some photos as we walked past. Visit the colleges website here for more detailed prices and opening times as they do vary. As well as the colleges themselves, the University also has some other spectacular buildings on offer. 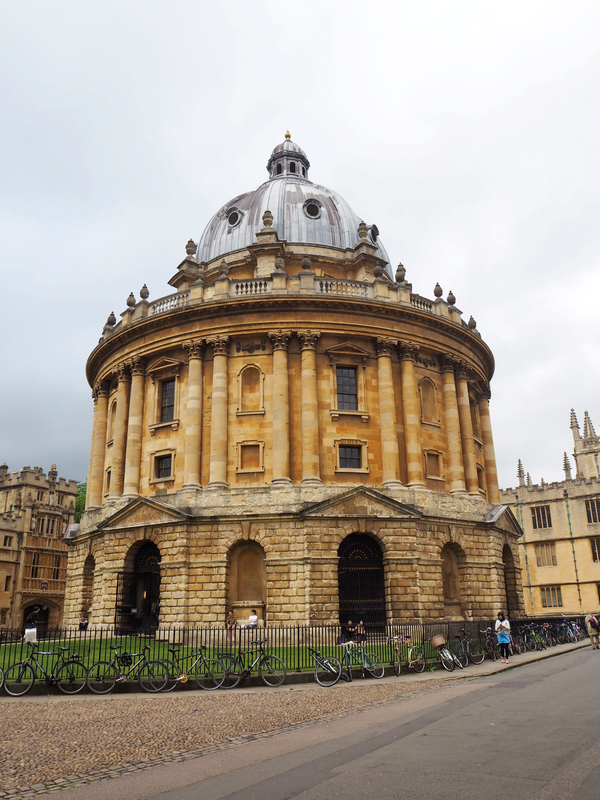 The Radcliffe Camera is one of the most recognisable buildings in Oxford and is one that you definitely need to put on your list. The Radcliffe Camera is part of the Bodleian Library and although this building in particular is not open to tourists, the rest of the Library is open to visit. There are a number of different tours available so there are plenty of ways to visit depending on what you want to see. 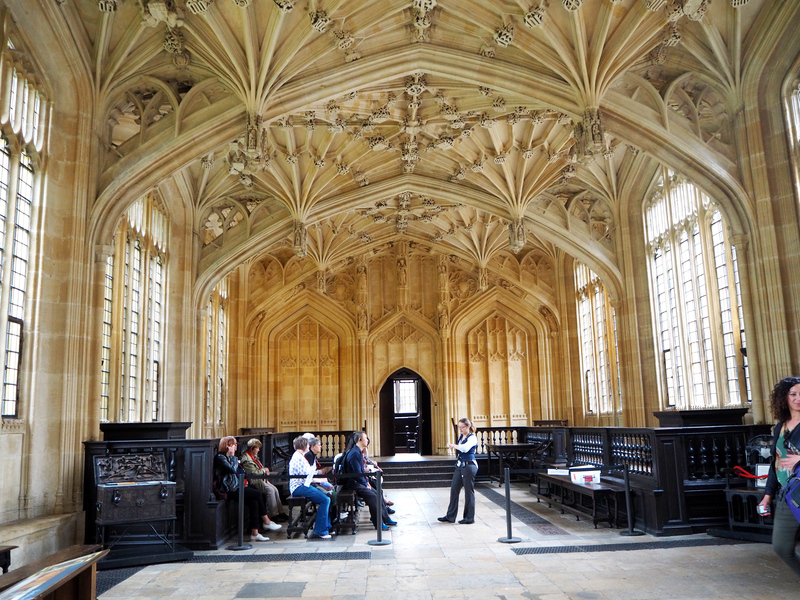 One of the main attractions at the Bodleian Library is the Divinity School which was actually used in the first Harry Potter film as the Hogwarts Infirmary. Even if you’re not a Potter fan, this is an amazing room to have a peek in, which you can do for just £1. The Sheldonian Theatre is another popular university building, and is now used as the main Ceremonial Hall. Again, there are a couple of different tours available, but we just went into the courtyard and took a few snaps without actually going in. If you’ve seen some photos of Oxford, chances are you’ve seen the Hertford Bridge, more commonly known as the Bridge of Sighs. 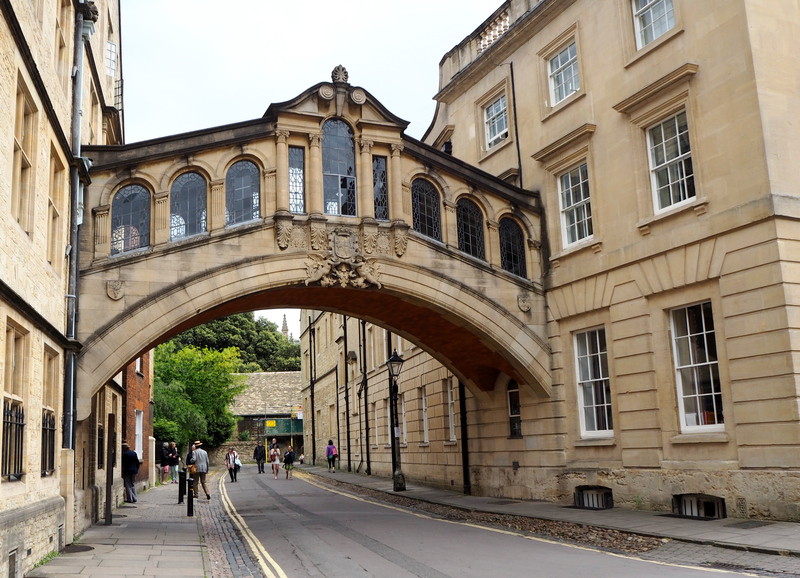 This bridge links two parts of Hertford College and can be found in New College Lane, right next to the Radcliffe Camera. 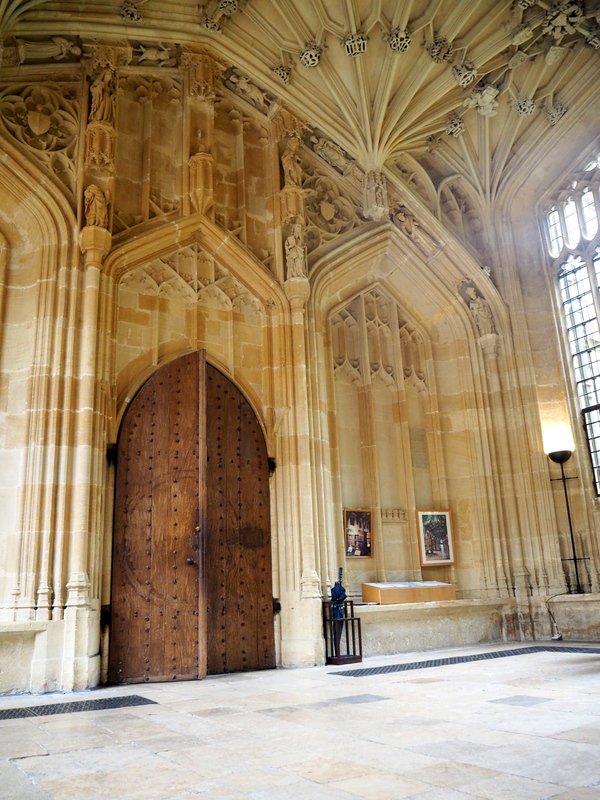 Bodleian Library- various tours from £2.50 audio tour to £14 extended tour. As you might expect with it being home to one of the most renowned universities in the world, Oxford does have a few museums on offer. Another great thing for people visiting on a shoestring is that the main ones are free! There are 3 main museums in Oxford, all of which have a slightly different focus. The Ashmolean is probably the most famous museum in Oxford, with it being the oldest museum in the UK and the first to offer free admission. The Ashmolean is home to the University’s collection of antiquities and art and although we didn’t visit on this occasion it is definitely on my list for the next time we go! 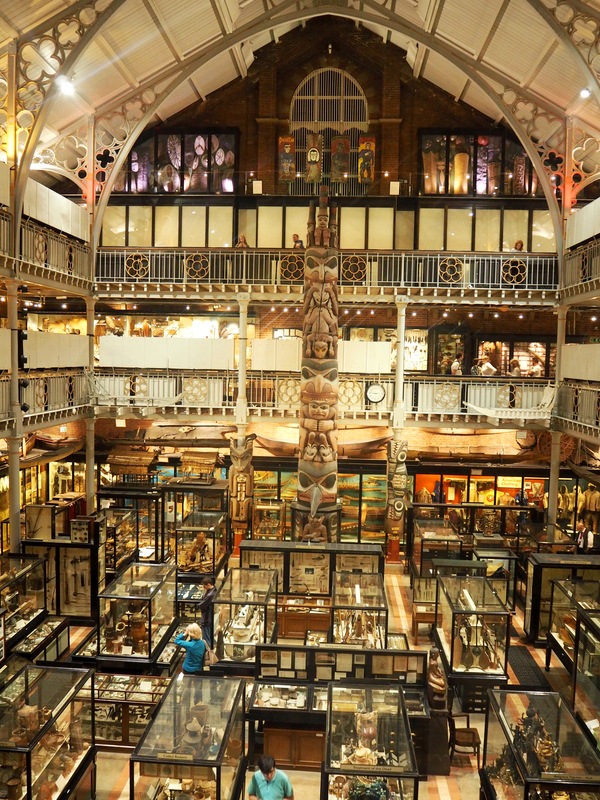 We decided to visit the Oxford University Museum of Natural History and the Pitt Rivers Museum, which are located right next to each other up Parks Road. If you’ve been to the Natural History Museum in London then this is pretty much the same idea, just a lot smaller! 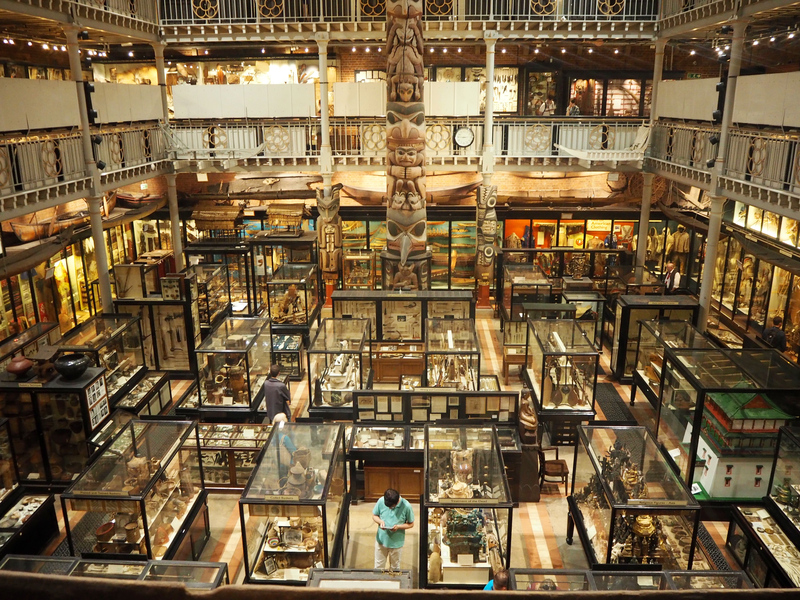 The entrance to the Pitt Rivers Museum is at the back of the Natural History Museum and it has more of a focus on anthropology and archaeology. The museum itself is quite a sight to see with a huge number of cabinets full of fascinating objects, it’s got a kinda old school feeling to it! You could easily spend a good few hours wandering round here and seeing everything it has on display so I would definitely recommend you pay a visit! 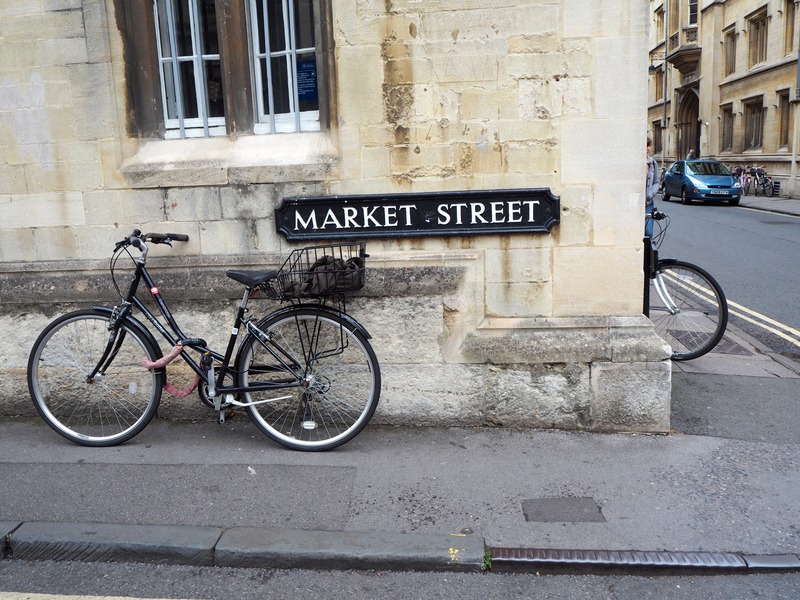 Oxford’s Covered Market is a little more hidden than the other attractions but it is worth having a wander around. Make sure to keep an eye out for the signs as you could easily walk past and miss it! The market is open 7 days a week, located just off Market Street and is home to numerous different traders. It’s got a greengrocer, fishmonger and butcher as well as various little clothing and home fragrances shops all arranged along little walk ways, head over there and go and explore! Oxford is home to several meadows and gardens, which are great for visiting if you get lucky with the weather like we did! The Botanic Garden, located down Rose Lane, is the oldest botanic garden in Britain and features several glasshouses so is worth visiting. We intended to chill out in Christ Church Meadow, another well known spot in the city, but unfortunately the gates were actually closed when we visited. The sign informed us that this was to try and prevent the meadow playing host to the post-exam tradition of “trashing”, so maybe check before you try to visit during exam season! 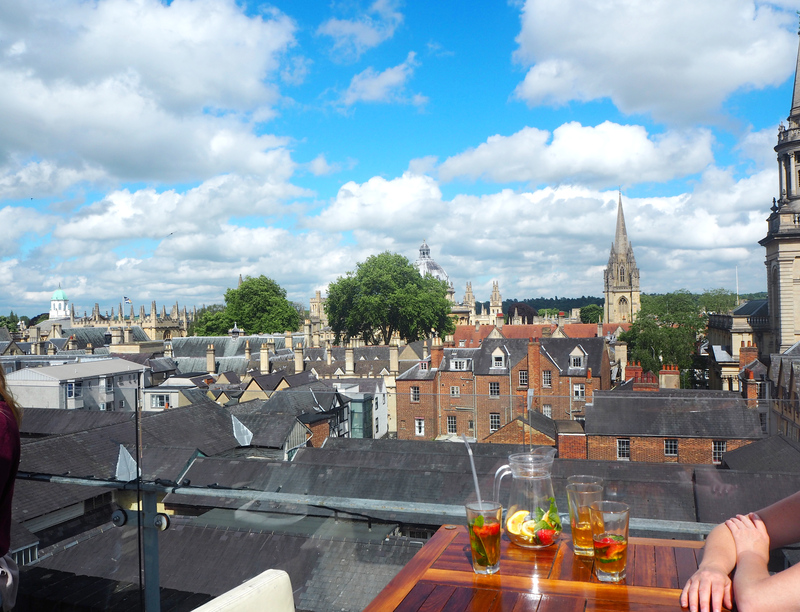 As Oxford is known as the City of Spires, what could be better than having a good old look at the city from above?! There’s a few different options if you’ve got a good head for heights and luckily enough, all of them are pretty cheap! The Carfax Tower is the first option on the list and also the cheapest at just £2.50. The tower is the only remaining part of St. Martins Church and at 74 feet tall with 99 steps it boasts a great view over the city. You can find the tower on Queen Street if you fancy going up. The University Church of St Mary the Virgin is the second option for a bird’s eye view of the city. It probably gives you a better view than the Carfax Tower but it is a bit more expensive at £4 per person. If you don’t want to go up the tower, you can look around the church free of charge. The Church is directly opposite the Radcliffe Camera and is more city central than the Carfax Tower, so will give you a view with plenty of photo opportunities! The last option is my favourite and the one we actually did on our day in Oxford. I have to say, it’s a little more relaxing than the other two, and there’s also some drinks involved! The Varsity Club is a cool little bar hidden just inside the Covered Market. It also happens to have a rooftop bar with great views of the city! The drinks are priced as you might expect for a city bar but if you get to sit on the roof for as long as you like gazing at the city it’s worth it in my opinion! It does get a little bit busy on the terrace but theres plenty of tables and places to stand. The Varsity Club- the price of your drink! Now please, if you go to Oxford, go to The Turf Tavern. The Turf Tavern is one of the more popular pubs in Oxford and also one of the most historic, dating back to the 1300s. The pub is tucked away down St Helen’s Passage/Bath Place. The easiest way to find it is to head to the Bridge of Sighs and turn left down the little alleyway. Previous visitors to The Tavern include Stephen Hawking, Bill Clinton and Margaret Thatcher. See if you can spot any pictures of them inside! The pub is surprisingly big and does good pub grub at reasonable prices so is a good bet if you fancy a drink or a bite to eat! One thing, please do watch your head on the beams if you’re a little bit taller, you’ll see what I mean when you visit. Some extras if you’ve got a bit more to spend! Punting. This has to be the biggest attraction that Oxford has to offer. Being on a budget, punting wasn’t an option for us on this occasion. Just another reason to go back, right?! You can hire a punt to take out with your family and friends or you can hire a chauffeur to take you around if you’d rather relax and enjoy the view! There are also rowing boats and pedalos on offer if you fancy that instead! Head to Magdalen Bridge Boathouse if you want to hire a punt. It’s just opposite the Botanic Gardens. Oxford Castle is another great place to visit if you’ve got the time. Entry to the castle is £10.95 (adult) which includes a guided tour. You can also head up the mound of the old motte and bailey castle for yet another view of the city from above! The area around the Castle, known as the Castle Quarter, is home to a few different restaurants and bars if you want to get some food while you’re there. So there we have it, a pretty packed list of things to do if you happen to find yourself in this pretty city! Don’t forget to like, share and subscribe below. Also, please feel free to leave me a comment, I’d love to hear from you! 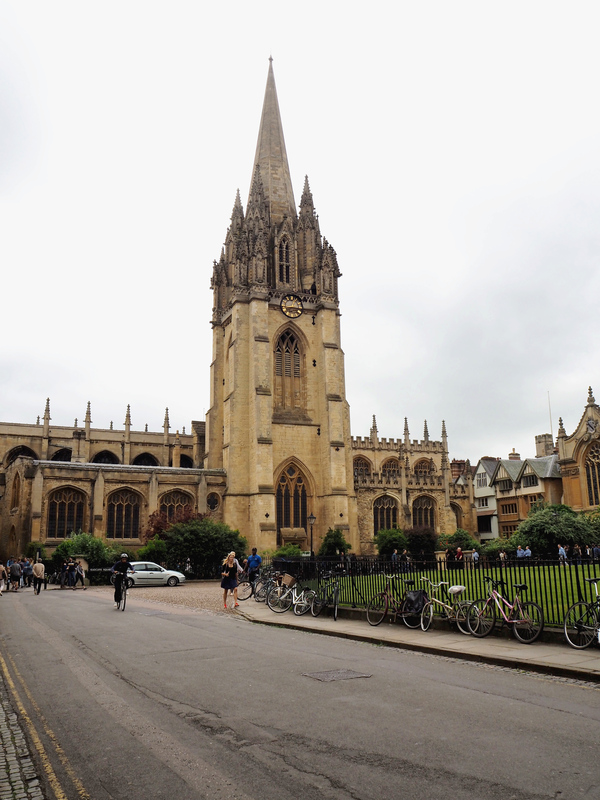 Have any of you been to Oxford? 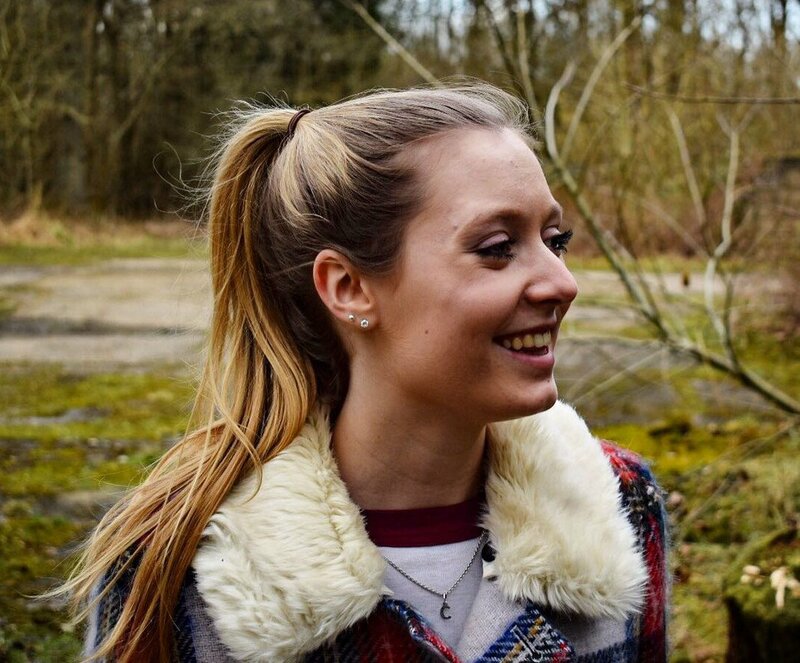 "WIN: A Fabulous Day Out at BBC Countryfile Live"
"My Essential Item for Last Minute Trips"